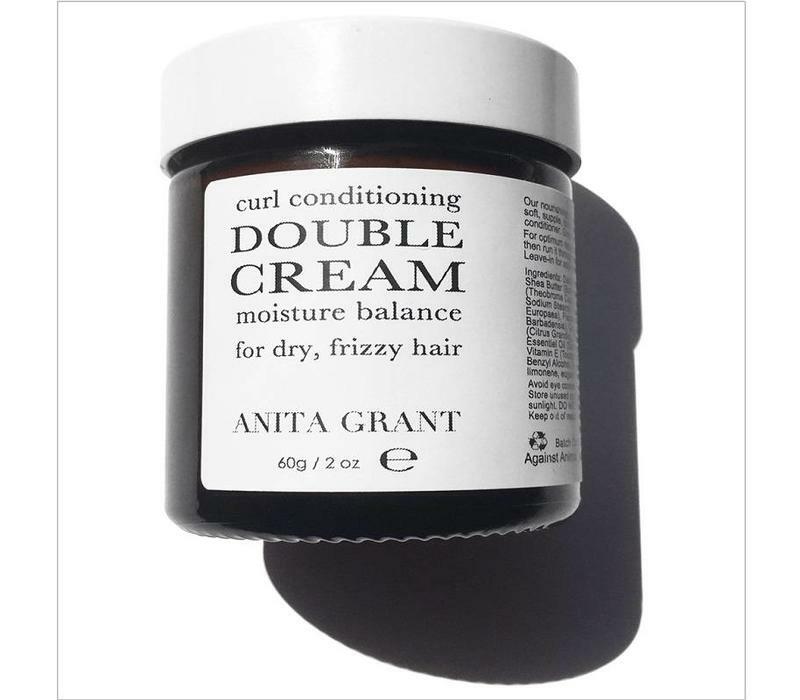 With a pH of 5.0 - 5.5 Moisture Balance Curl Conditioning Double Cream from Anita Grant is a water-based intensive nourishing daily leave-in conditioner. 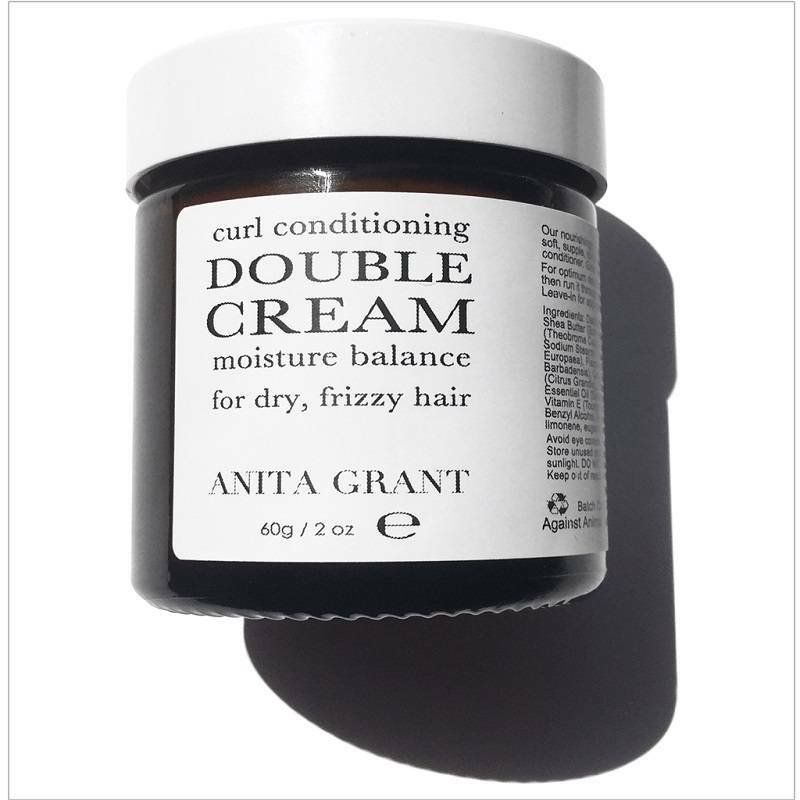 Rich formula penetrates to transform the most brittle curls to soft, supple, touchable health. It is a great treatment for damaged, colour treated and transitioning hair. Moisture Balance Conditioner is rich in vitamins A, E, K and F found in Unrefined Shea Butter. It also contains Omega 3 and 6 fatty acids from flaxseed oil and Aloe Vera which helps to soothes the scalp. Full of antioxidants that come from Unrefined Cocoa Butter aids to strengthen the hair and locks in moisture. Cedarwood Essential Oil - purported to stimulate hair follicles and increase circulation to the scalp. Ylang Ylang Essential Oil - a scalp stimulant that encourages healthy hair growth. Packaged in dark brown glass jars. Suitable for all curly hair types.Vegetarian Friendly. INGREDIENTS: Distilled Water (Aqua), Sunflower Seed Oil (Helianthus Annuus), Shea Butter (Butyrospermum Parkii), Glyceryl Stearate, Unrefined Cocoa Butter (Theobroma Cacao), Beeswax (Cera Alba), Vegetable Glycerin (Glycerin), Sodium Stearoyl Glutamate, Sucrose Stearate, Extra Virgin Olive Oil (Olea Europaea), Flaxseed Oil (Linum Usitatissimum), Aloe Vera Leaf Juice (Aloe Barbadensis), Coco Glucoside, Coconut Alcohol, May Chang Essential Oil (Citrus Grandis), Cedarwood Essential Oil (Cedrus Atlantica), Sandalwood Essential Oil (Santalum Album), Ylang Ylang Essential Oil (Canaga Odorata), Vitamin E (Tocopherol), Xanthan Gum, Lactic Acid, Dehydroacetic Acid and Benzyl Alcohol. Natural essential oil constituents: linalool, linalyl acetate, limonene, eugenol, benzyl alcohol. 100% of the total ingredients are from a natural origin.